As a brand I-Feeder has a simple vision. We want to be the market leader where it comes to the supply of dosing systems. We want to achieve this without ever losing the enjoyment in what we do and the ethics we apply day to day to achieve this. For the brand, a client and a supplier are each as important as the other. Both have to take our hand to ensure a brand with longevity, a brand with a legacy. People are not just numbers, but friends. We will achieve our vision by ensuring we stay true to our motto: Growth through service and innovation. Because we love what we do, every system designed is done so with passion and pride. Not just to be a functional product with longevity, but easy to use, easy to repair, and trustworthy. 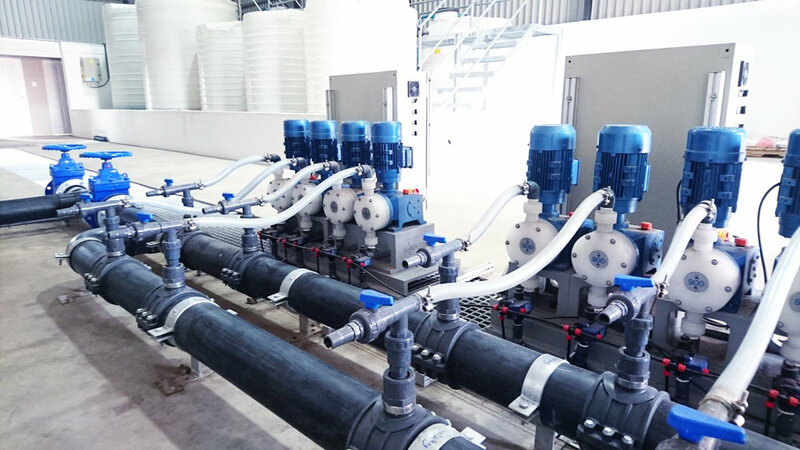 The group has grown from a small company supplying the agricultural market in the Southern most tip of Africa to one of the biggest role players in Africa and the Middle East where it comes to the supply of dosing systems. Currently establishing a footprint in Europe and Asia, with involvement in projects as far afield as Iraq and England. This massive growth has forced the brand to open another office in Saudi Arabia, to ensure our clients are serviced on the level they clearly deserve. Ensuring stock and expertise is on close call. Our brand has a reputation as a quality product. Ensuring profits for our clients and value for money for our end-users. Manufacturing is where the knowledge is. Components with a high level of specialist engineering is done is a product and knowledge specific factory in Japan. Day to day consumer components are manufactured in South Africa. It is also in South Africa where the final assembly and testing is done before being shipped to the client. Every single system is tested before shipment. Experience in the field and on the ground, together with constant communication with clients who sell and use the products, have given us a deep understanding of wants and needs. 30 years of knowledge has made us a knowledge base often called upon, even by our competitors. We sell thousands of dosing systems every year. To ensure you, as the customer, receive the service you deserve, we have teamed up with selected companies who have the same vision and mission as ourselves. Well represented in Africa and Europe, contact us and we will ensure quick and efficient service from companies in your area.